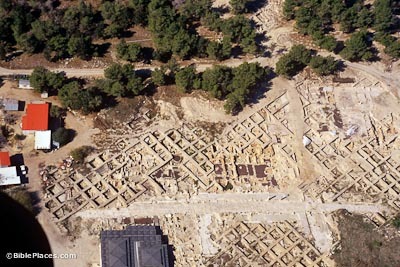 This aerial view gives an interesting perspective of the archaeological work. Modern archaeologists typically excavate in squares (approximately 5 meters on each side), leaving the sides (balks) as a vertical record of the excavations. Some archaeologists remove the balks after they have served their purpose; others choose to leave them indefinitely. Sepphoris was first excavated by L. Waterman of Michigan University in 1931. In 1983, J. F. Strange of the University of South Florida began a survey of buildings, cisterns, and burial systems. A joint team from Duke University, North Carolina, and The Hebrew University began work in 1985. 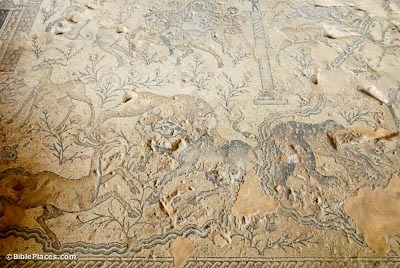 Sepphoris was rebuilt and fortified after Galilee came under the rule of Herod Antipas. 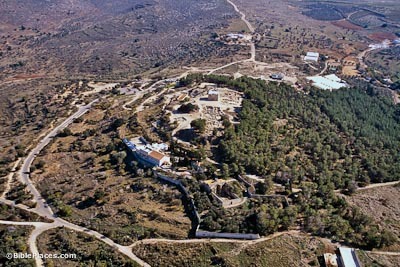 He made Sepphoris his capital until he built Tiberias in 19 A.D. 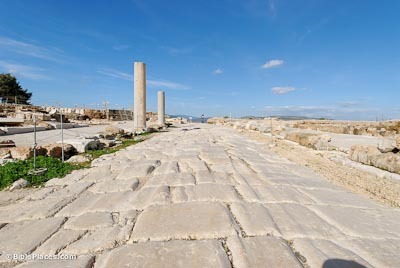 Some scholars believe that Joseph and Jesus may have helped in the reconstruction of Sepphoris. Since Herod Antipas rebuilt the city about 4 B.C., and since stone is the main building craft of the area, Joseph, living in the nearby Nazareth, was probably a builder in stone as well as wood. Sepphoris was about an hour’s walk from Nazareth. This colonnaded street was built in the Roman period and was one of the main streets of city. In one large building are many mosaic floors, including the Nile mosaic in the largest room. This mosaic shows festivities in Egypt when the Nile reached its peak. The lighthouse from Alexandria, the Pharos, is also depicted. This was one of the seven wonders of ancient world. The tower in the center of the hunting scene is a Nilometer, which was used to measure the rise of the Nile during the inundation. At the summit near the theater is a large dining room floor from the beginning of the 3rd century A.D. The house was built around a colonnaded yard and had two floors. The building included a central triclinium and was most likely the home of an important Gentile person. It might have been the city or district governor. The triclinium mosaic includes 1.5 million stones in 28 colors. The beautiful woman in the mosaic is known today as the “Mona Lisa of the Galilee.” She is depicted wearing a laurel garland and earrings. A similar figure was on the southern side of the frame and can still be partly seen today. Sepphoris (Walking in Their Sandals) Briefly introduces the site and its significance in the life of Christ. Also displays some pictures of the site here. Sepphoris (The Bible and Interpretation) Excellent article by James F. Strange that synthesizes the historical and archaeological data relating to Sepphoris. Paints a picture of Sepphoris as it was in the first century AD. Zippori (Jewish Virtual Library) Surveys the history of the site from the Roman to the Crusader periods. Also describes the various features of the site, such as the acropolis and the theater. 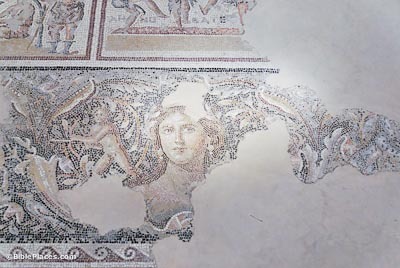 Zippori – Sepphoris Hebrew University Excavation Project (Hebrew University) Provides good information on the excavations that have been carried out at the site. 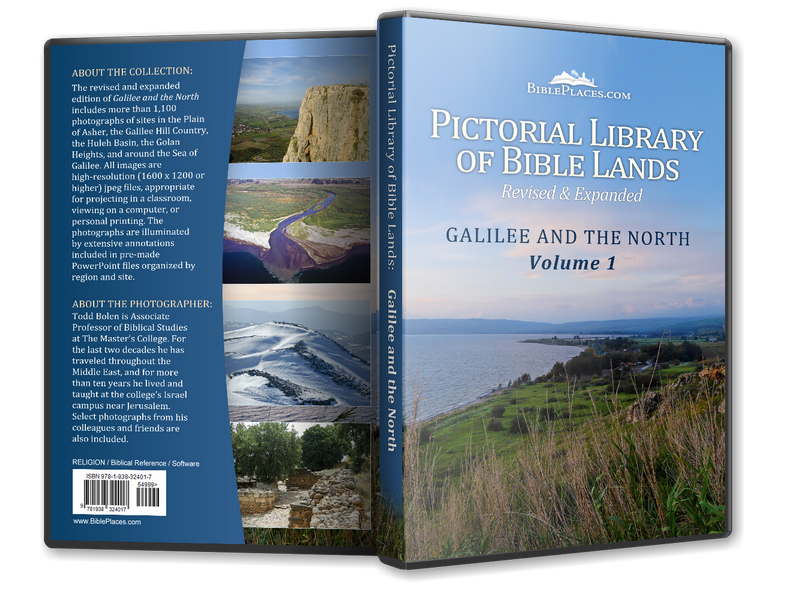 Includes some photos taken during excavations and a bibliography. The USF Excavations at Sepphoris (CenturyOne Foundation) Introduces the site and supplies information about the excavation project, including a description of an average day on the dig.